Windows8 is the latest offering from microsoft.Microsoft made this version little different from their previous ones.Windows8 has reinvented itself as an operating system for both tablet and PC users. While touchscreen users can take. If you don't have a touch screen, there's no need to mouse around to make key functions appear. If you know the correct keyboard shortcuts.Knowing at least some of the Windows 8 keyboard shortcuts will make your Windows 8 experience much more enjoyable.If you're thinking of using same shortcuts of previous windows versions then you are just damn wrong,cause we've already told you microsoft made it totally different from their previous versions.While experiencing with window8 as an operating system you may have already getting through it.So let's start knowing about these shortcuts and make your experience with windows8 delightlful. 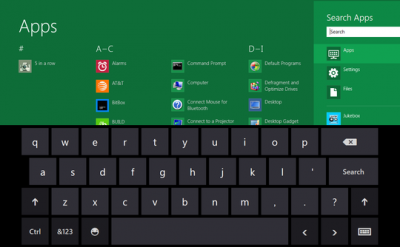 Windows Key +Number Key (1-9) Switch to desktop mode . So these are the shortcuts for now.We will try to update the lists as per as time allows.if you do know some more shortcuts then just share it with our reader through the below comment sections. Do you really use all these shortcut keys? I've never thought there's so many of them. I am not yet using Windows 8 up to now. Will refer to this article again when I do. How different are these shortcuts from Windows 7? The number of shortcut keys are a definite surprise, though I'm using the Windows 8. Nostalgic. I used shortcut keys before and this command is very, very common for me since I am a techie person. These shortcuts really makes working a lot faster.